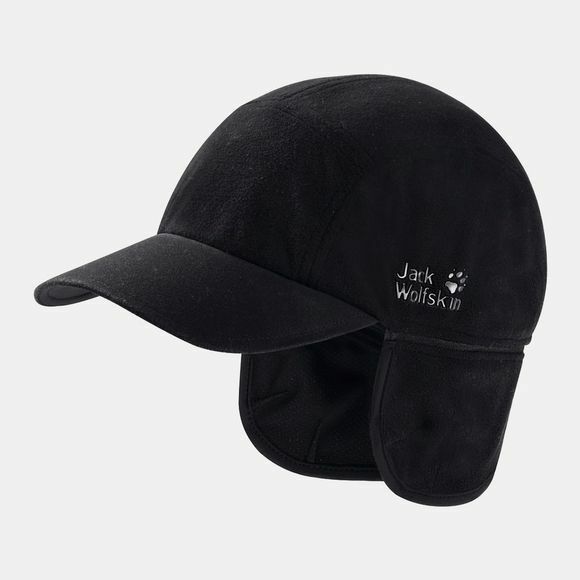 The Mens Stormlock Blizzard Cap from Jack Wolfskin is Wear the Stormlock Blizzard Cap and you won't have to worry about the Wind and snow spoilIng your fun. This Cap was made for Blizzard conditions! The very warm and Windproof Stormlock Fleece will keep you feelIng warm and cosy and keep even icy Winds at Bay. For added wear comfort we've lined this Cap with a moisture regulatIng fabric. This ensures that your head stays dry durIng sweaty activities, as perspiration is wicked rapidly to the outside. Neck and ear protectors provide extra warmth. If you don't need them, simply stow them Inside the Cap. The Cap can be easily adjusted to the correct size for your head.